Extreme Face Painting offers amazingly detailed face painting in Northwest Indiana and across the state of Indiana. Damaris Sims’s unique artistry incorporates each facial feature to create a WORK - OF- ART using brushes & sponges in less than 5 minutes! With 12 years of professional experience your event will transform into a Living Art Gallery! 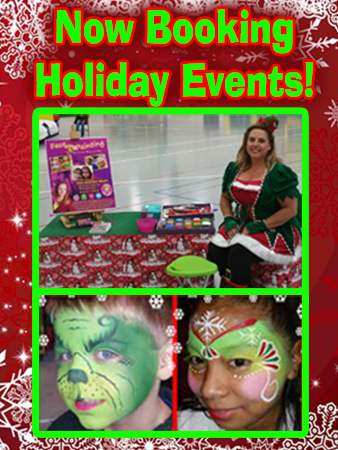 Face painting is the perfect addition to any event: Birthday Parties, Company picnics, Block Parties, Holiday Parties, Grand Openings, Fundraising Events, as Fair Booth Entertainment or at any Community Gatherings. Extreme Face Painting only uses professional cosmetic grade, FDA compliant, Hypo-Allergenic, Non-Toxic face paints and glitter. Learn more about Extreme Face Painting's Safety and Hygiene Policy. All images located on this website are the copyrighted property of Extreme Face Painting. The use of any of these images, in any way, shape, form or capacity, without express permission from Extreme Face Painting is strictly prohibited.